Lecalle (Lowie Calle, 1991) is currently based in a small seaside-town called Terneuzen in the Netherlands. Ever since Lowie got a guitar for his 10th birthday he’s been making music. 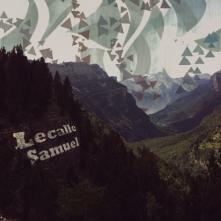 Lecalle produces relaxing, ambient, chill-out tunes inspired by nature. His first album (also debut on Mahorka) is named after his son Samuel.